The lake in Koramangala, which the Bangalore Development Authority is now restoring to its earlier 11.2 acre expanse, is a triumph in citizen activism. 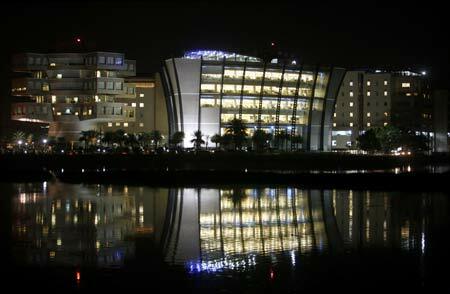 The lake had mostly dried up and a commercial and residential complex was to have come up on the spot. But the local Residents Welfare Association decided to fight it and take the matter to court. The case dragged on for two decades, until in February this year the Supreme Court ruled in its favour. But guess who was at the forefront of the struggle? Rajeev Chandrasekhar, the founder of BPL Mobile, now Rajya Sabha MP from Karnataka and chairman of venture fund Jupiter Capital which has investments in greenfield businesses in the areas of defence technology, rail cargo, television and radio, and hospitality. But Chandrasekhar is not the only corporate honcho working to develop Bengaluru. Once called the 'garden city', Bengaluru has now acquired the dubious reputation of being the country's 'gridlock capital', thanks to an exponential growth in population and economic activity, compounded with unplanned infrastructure development. Image: The Vidhan Souda in Bengaluru. "It's my love for Bengaluru that attracts me to the civic challenges it faces," says Kiran Mazumdar Shaw, chairman and managing director of Biocon. "A CEO's personal interest helps to expedite matters. Supporting the government by providing management resources and financial support, especially through public-private-participation, can help develop the city, improve environment, healthcare, education and transportation facilities." Shaw has for many years now been an active member of various panels working on plans for Bengaluru's infrastructure development. Chandrasekhar, on his part, states that he is doing his job as a Rajya Sabha MP when he is playing an active part in the civic uplift of Bengaluru. 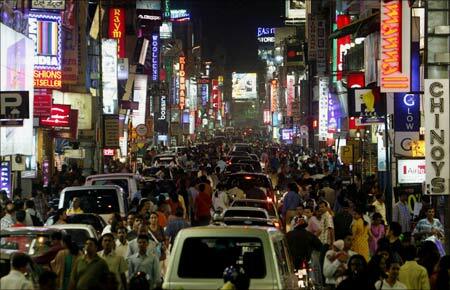 Image: Traffic congestion has made life difficult in Bengaluru. Chandrasekhar, who sold BPL Mobile to the Essar Group in 2005 at an enterprise value of $1.2 billion, is an ardent advocate of urban governance. He has set up the Agenda for Bangalore Infrastructure Development (ABIDe) task force and also prepared a comprehensive integrated regional plan called PlanBangalore2020. "The plan is a blue-print for developing Bengaluru into a world-class metropolis. The vision of the plan stands on two things -- citizen-centric governance and transparency." "We have also drafted the Bangalore Region Governance Act (BRGA) which will transform the way Bengaluru is administered. It will legally create a framework for RWAs and residents to involve in policy-making," says Chandrashekhar. 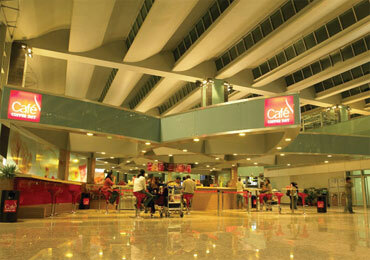 Image: A view of the new Bengaluru international airport. 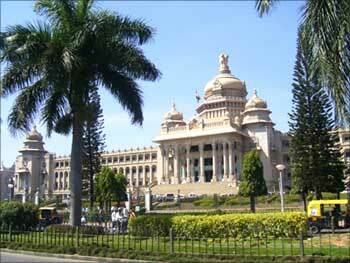 The bill is awaiting the nod of Karnataka state assembly. Other top executives working on improving Bengaluru include Infosys CEO K Gopalakrishnan, Infosys VP-HR Mohandas Pai, and Harman India head Lakshminarayan. Then there's Ramesh Ramanathan who quit his plush job with Citibank in the United States to dedicate himself to the development of Bengaluru. Janaagraha, the NGO he set up in 2001, has actively campaigned for many a change in Bengaluru and seen it through. "Many of the CEOs do it out of genuine concern and are driven by a sense of social obligation. They recognise that the competitiveness of their company is influenced by the quality of life the city offers," says Ramanathan. 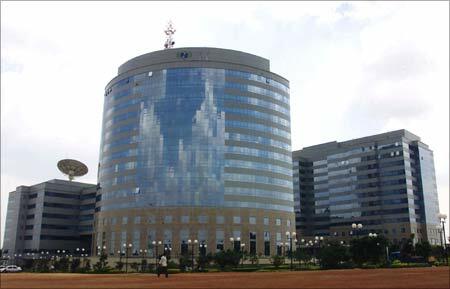 Image: An IT park in Bengaluru. "Trying to find out what the city has and what needs to be improved is the main thing," says Lakshminarayan. He has been working with Ramanathan on industry bodies trying to get to the bottom of the city's problems and find ways to solve them, in tandem with the state administration. Organisations such as CEOs for Cities, which began in the American cities of San Francisco and Chicago over 30 years ago when a few CEOs got together to do something about the city's problems, are clearly an inspiration for these CEOs.